Before the 2013 season, the Spokane Indians pumped $3.5 million into the aging Avista Stadium in an effort to improve the fan experience at the ball park. While the upgrades to concession stands, walkways and ticket windows were obvious to fans, along with the swanky new team store and picnic area included in the overhaul, the team didn't neglect the field where the players do their thing, either, maintaining the quality turf between the lines. On Monday, the Northwest League recognized Avista Stadium as the NWL Field of the Year for the 10th consecutive season, and for the 16th time in the last 18. Yes, Indians groundskeeper David Yearout finds himself tending a serious hardball dynasty in Spokane, albeit one more concerned with weeds and rodents than balls and strikes. The award is voted on by the managers and coaches of the A-ball league, in recognition of the team that maintains the best playing surface and maintains the highest-quality field through the NWL season. And if you think the playing surface is a minor detail, even in the minor leagues, consider the sad tale of NFL rookie Jadeveon Clowney, injured in his first pro game this weekend thanks to his own team's shoddy sod. Yearout praised the members of the Indians' grounds crew for working hard "to keep the field in pristine condition for our players, coaches and the fans." 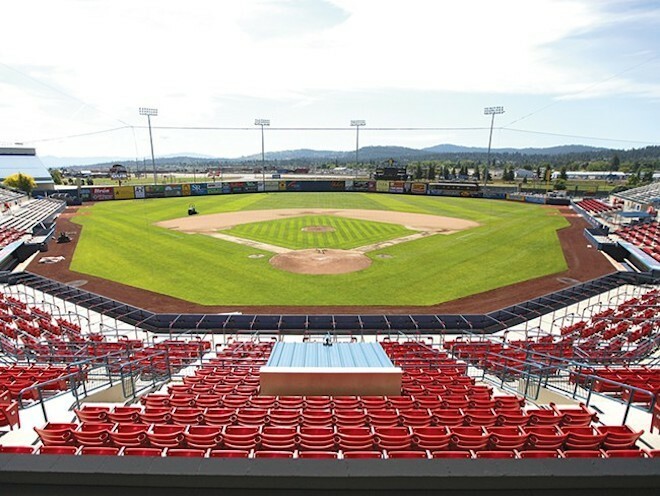 Perhaps most remarkably, the field is the same one first created when Avista Stadium was built in 1958, meaning generation after generation of Spokane hardball fans have watched a game on the same dirt and grass. That's a testament to Yearout and his predecessors' love of the game, and their chosen trade. Having won the NWL Field of the Year designation, Yearout is now a candidate for Minor League Baseball's Sports Turf Manager of the Year, slated to be announced at baseball's annual winter meetings.